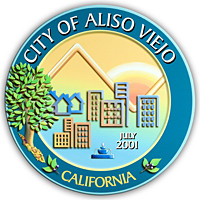 If you’ve been arrested in Aliso Viejo chances are that the arresting officer was an Orange County Sheriff. The Orange County Sheriff’s Department has a sub-station in Aliso Viejo and as a result, DUI enforcement is very aggressive. The Sheriff’s Department conducts checkpoints in Aliso Viejo and saturation patrols around the Town Center. Orange County Sheriff’s Patrol Vehicles are equipped with video recording devices which capture everything that the officer says and does as well as everything you say and do. This is critical in your defense because and experienced DUI lawyer can challenge the field sobriety tests or the breath and blood tests if the officer did not follow proper procedures. If you need legal assistance with handling a DUI arrest in Aliso Viejo, contact the Law Office of Barry T. Simons. With literally decades of experience in the field, Mr. Simons has amassed an enormous range of knowledge pertaining to the strategic defense of these charges. He and his team of legal professionals have gone through extensive training in DUI case law, and they are well qualified to provide you with the defense you need in order to avoid license suspension and jail sentences. While assembling your defense, we take a wide-ranging approach that explores every scientific and legal issue applicable to the case. Among these issues is the efficacy of field sobriety testing. There are a number of studies from the National Highway Traffic Safety Administration that question the accuracy of these tests, and as your Aliso Viejo DUI lawyers we will use that information in court to your advantage. You must act quickly if you are facing DUI charges. As soon as you are arrested, you are given only ten days to schedule a hearing to answer these accusations. This will be your first opportunity to answer the charges against you, and you will be able to make a case in your defense that ideally will allow you to keep your driver’s license. It’s important to reach out to an Aliso Viejo DUI attorney before the ten-day window of time is up—they need time to prepare a sound defense. What happens if you do not act within the ten-day frame? Your license will be suspended; you may also face jail and punitive fines. The legal pros at the Law Office of Barry T. Simons are passionate about using all our resources and training to help you emerge victorious in court. When you need an Aliso Viejo DUI lawyer who will work with you, contact us as soon as possible. Everyone deserves a chance to defend themselves against DUI charges, and we’re here to serve as your advocates.